Alaska Northwest Books, 9781513261874, 32pp. Discover the whimsical tale of friendship between one man and his gold pan, and their journey in the wake of the Gold Rush. 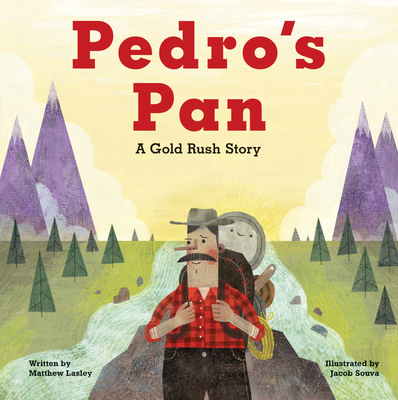 Pedro and his pan go on an exciting adventure together--to strike gold They hike mountains, whack through bushes, and wade through streams as they sift through dirt and gravel in search of the hidden nuggets. But as time goes by without any success, Pan begins to worry that he is broken. Will he and Pedro ever find what they're looking for? Inspired by the true story of Felix Pedro, a prospector who launched one of the richest gold rushes in Alaska's history, Pedro's Pan offers a glimpse into American history as well as educates how gold panning works in a fun and exciting way.